A little photo play on Saturday. “Symmetry” is the theme for this week’s WordPress Photo Challenge. Image was taken at Mark Twain Landing RV in Monroe City, MO on 9/21/13. Weather was very cooperative. This entry was posted in WP-Daily Post and tagged Photo Challenge, symmetry. Bookmark the permalink. Looks so peaceful. Do you travel in groups? No. We are workampers. That means we sit for a spell while working in the campground. Thanks Elle. Of course I doctored the original photo. So true Judy – thanks for the feedback. I love those kind of images! Thank you Claudia, I post more like this. I wanted to capture peace in the mist of craziness. 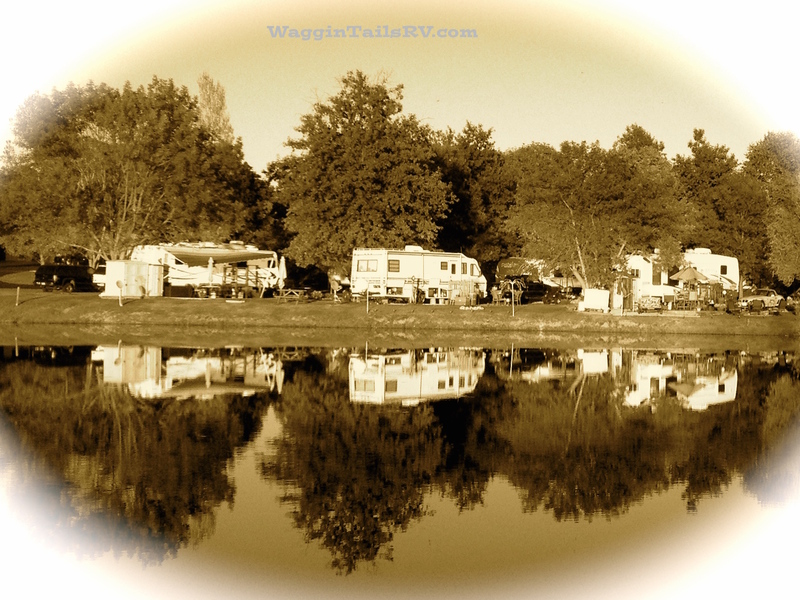 Mark Twain Landing is a large family focused RV park complete with large water park. Weekends wee crazy there. Thanks Jana. I thought about placing a reflection of our blog site at the bottom of the photo. Maybe next time. Is this for real? Wowwwweeee! Yep, it is for real. Now I did doctor the original photo, but it is for real.